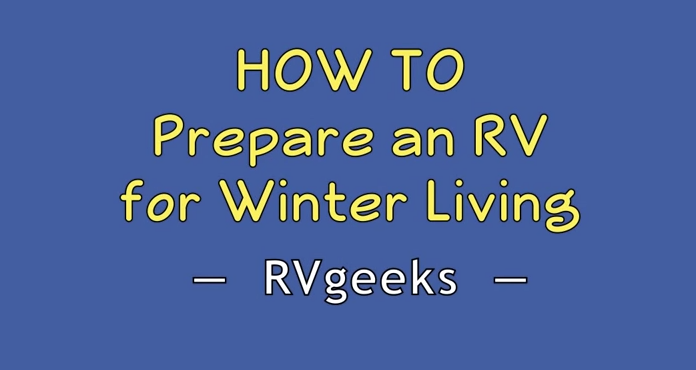 When you run out of space inside your RV, sacrifices are made and items get left behind. There are some items that occasionally come into use that are worth having around just in case. 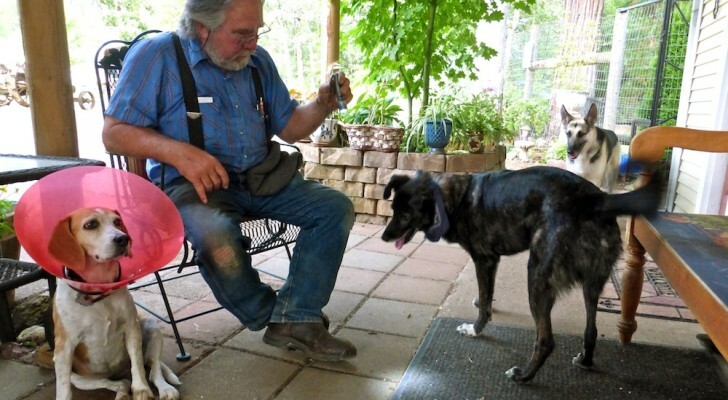 We have always felt that way about basic hand tools. You know the wrenches, hammer, screwdrivers, and duct tape (of course). The problem is that if you travel with a significant other it can be a challenge to find a place for them. 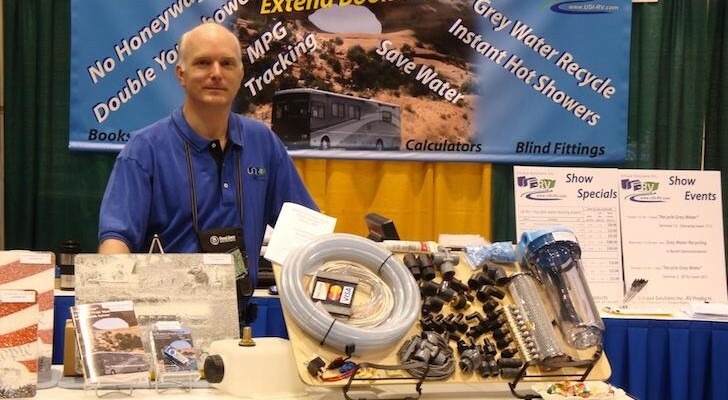 For many RV owners, the RV tool box is essential. 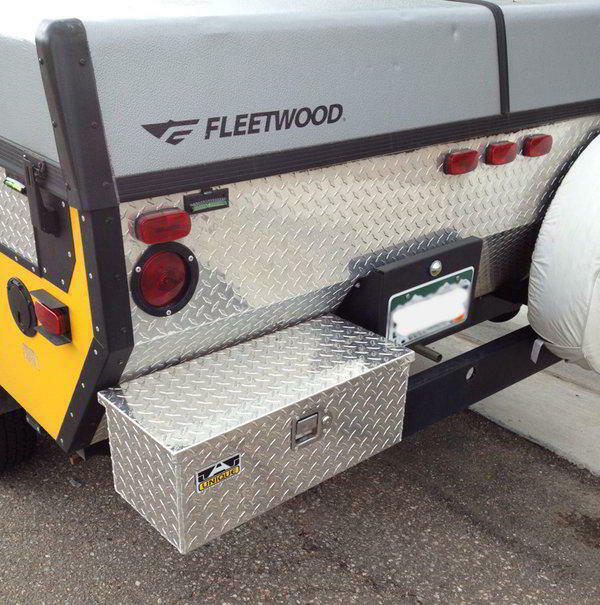 We recently came across a neat idea to mount the RV tool box on the rear bumper. Not only does this keep it out of the way it makes for easy access in the event of an issue while in transit. This RV tool box was discovered over at the PopUpPortal.com forums and showed how simple and even stylish a rear bumper RV tool box can be on his Fleetwood Evolution E1. He purchased the tool box from eBay for less than $100 which was the best value found for this quality of toolbox. 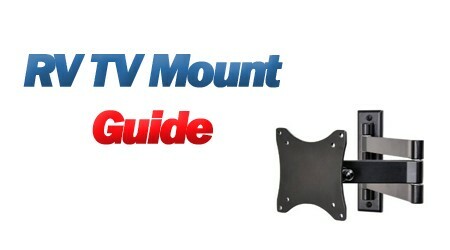 eBay offers many different sizes and colors making it easy to fit whatever RV tool box application you seek. 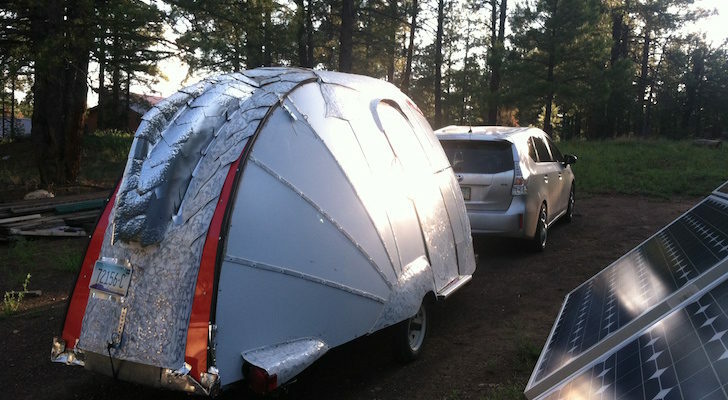 Though it was installed on a pop up camper the concept really can apply to any RV with a bumper. 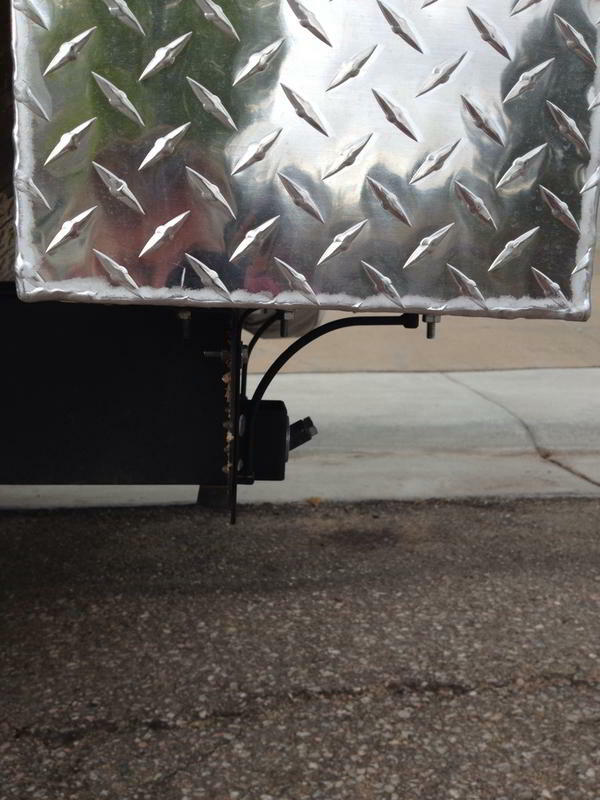 After mounting the RV tool box to the bumper it was necessary to stabilize the tool box by adding some simple steel shelf brackets to the underside. 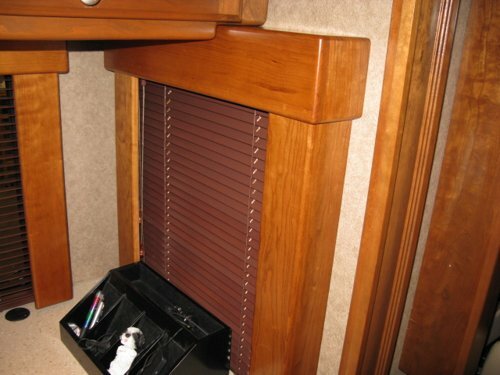 Lastly he added some no-slip material to the interior of the RV tool box to keep things from banging around. One of the best features of a box like this is it can serve any array of purposes. 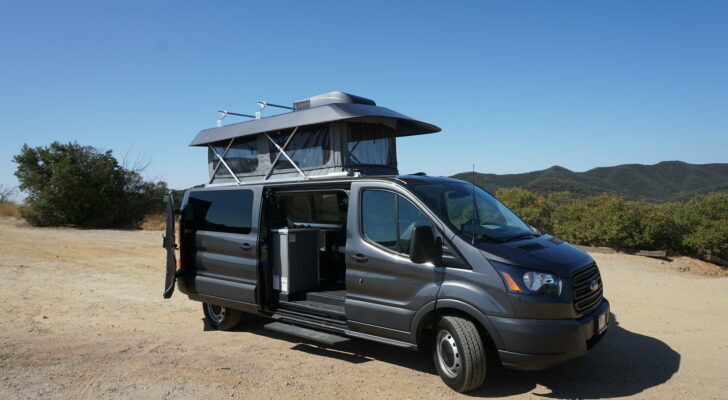 If you already have a place for tools, then you can consider the RV tool box a place to store leveling blocks, pop-up trash can, or even your awning lights. 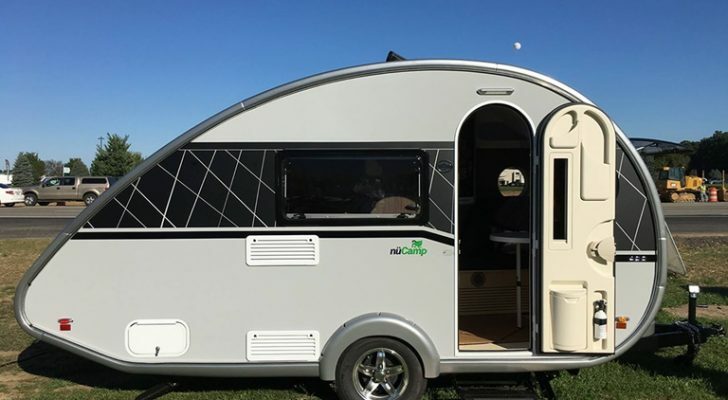 Do you have any unique ways you store items outside your RV? Please share with us in the comments below!